In the wake of the great financial crisis it can sometimes be difficult for Intelligent Investors to find a solid financial company in which to invest, because they require specific achievements over the historical period. Many investors may simply decide to throw out the worst years with the rationale that they are outliers that shouldn’t be considered when evaluating the company’s prospects, but doing so would involve speculation. We don’t know whether the financial crisis will happen again, but we do know that if it does, we can expect to see similar results as we did before. By continuing to require the same standards for the historical period, Intelligent Investors are able to widdle down banks to only those with the best financial position, and then they are able to determine an intrinsic value to get a sense of whether the company is a good investment. In addition, a company must have strong financial statements to prove that it is stable enough for Intelligent Investors. This is best done by utilizing a systematic approach to analysis that will provide investors with a sense of how a specific company compares to another company. By using the ModernGraham method one can review a company’s historical accomplishments and determine an intrinsic value that can be compared across industries. 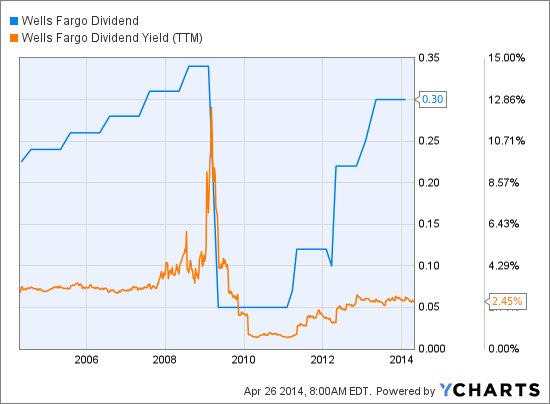 What follows is a specific look at how Wells Fargo Corp fares in the ModernGraham valuation model. 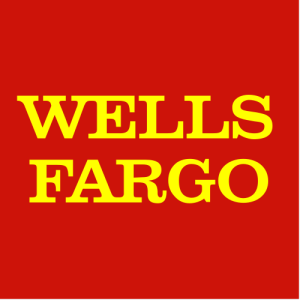 Company Profile (obtained from Google Finance): Wells Fargo & Company is a bank holding company. It has three operating segments: Community Banking, Wholesale Banking and Wealth, and Brokerage and Retirement. It provides retail, commercial and corporate banking services through banking stores and offices, the Internet and other distribution channels to individuals, businesses and institutions in all 50 states, the District of Columbia and in other countries. The Company provides other financial services through subsidiaries engaged in various businesses, principally wholesale banking, mortgage banking, consumer finance, equipment leasing, agricultural finance, commercial finance, securities brokerage and investment banking, insurance agency and brokerage services, computer and data processing services, trust services, investment advisory services, mortgage-backed securities servicing and venture capital investment. Effective November 21, 2013, Wells Fargo & Co acquired an undisclosed minority interest in Grameen America Inc.
Wells Fargo Corp is a company that is intriguing to all value investors as it passes all of the requirements of both the Defensive Investor and the Enterprising Investor. As a result, value investors following the ModernGraham approach based on Benjamin Graham’s methods should feel comfortable proceeding with further research into the company and comparing the company to other opportunities such as through a review of US Bancorp (USB) and KeyCorp (KEY). As for the valuation, the company appears to be undervalued after growing its EPSmg (normalized earnings) from $1.83 in 2010 to an estimated $3.48 for 2014. This solid level of demonstrated growth more than supports the market’s implied estimate of 2.79% earnings growth and leads the ModernGraham valuation model to return an estimate of intrinsic value that is well above the market price. The next part of the analysis is up to individual investors, and requires discussion of the company’s prospects. What do you think? 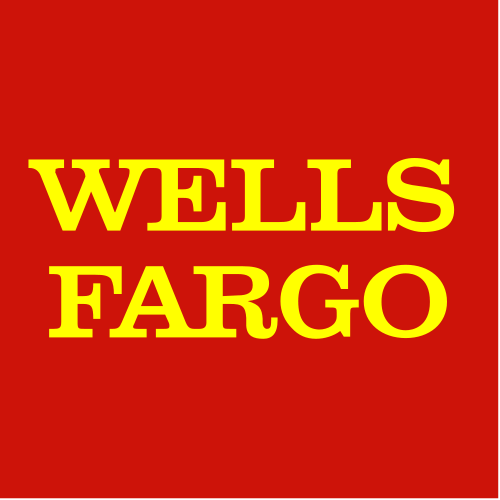 What value would you put on Wells Fargo Corp (WFC)? Where do you see the company going in the future? Is there a company you like better? Leave a comment on our Facebook page or mention @ModernGraham on Twitter to discuss. Disclaimer: The author did not hold a position in Wells Fargo Corp (WFC) or any of the other companies listed in this article at the time of publication and had no intention of changing that position within the next 72 hours. 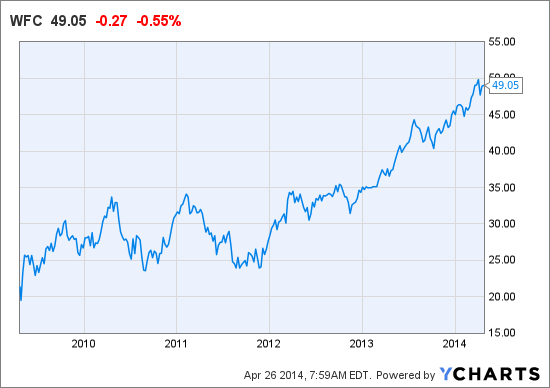 I’m curious why you think Well’s earnings are going to fall off after reporting over $1 in Q1. I see them earning well over $4 in 2014. For EPS estimates, I simply use the lowest analyst estimate, which in this case is $3.75 for 2014. The EPS – ModernGraham figure is a normalized earnings taking into account the last 5 years worth of data.